INNER NO OUTER belongs to the YABBY transcription factor family and determines the abaxial identity of the outer ovule integument. 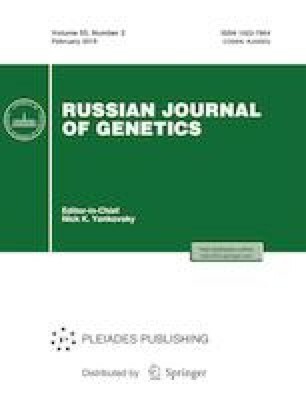 In this study, complete genomic INO sequences were identified and characterized in 12 accessions of 11 tomato species (Solanum section Lycopersicon). It was shown that the identified INO genes encode proteins with the conserved zinc finger and YABBY domains. The INO sequences of all analyzed tomato species contain 243 (12.9% of the aligned length) variable sites, 43 of which are exon-specific and include 22 nonsynonymous SNPs leading to amino acid residue substitutions in zinc finger domain (10), YABBY domain (2), and interdomain regions (10). A deletion of 10 aa at the C-terminal interdomain sequence is characteristic of the S. arcanum INO. This study was supported by a grant from the Russian Science Foundation, project no. 16-16-10022, and was performed using the experimental climate control facility located in the Institute of Bioengineering, Research Center of Biotechnology of the Russian Academy of Sciences.